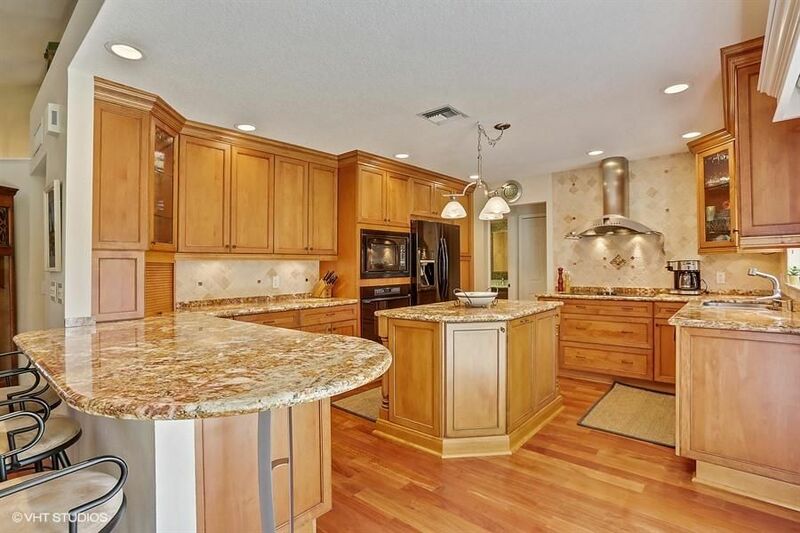 FABULOUS ENTERTAINING HOME IN SOUGHT-AFTER JUPITER. NO SHUTTERS NECESSARY! IMPACT GLASS THROUGHOUT ALSO PROVIDES SOUNDPROOFING & SECURITY. GARAGE DOOR ALSO HURRICANE RATED & ROOF JUST 10 YEARS OLD. CUSTOM KITCHEN CABINETRY, IMPORTED GRANITE, STAINLESS STEEL HOOD, TOP OF THE LINE APPLIANCES, BREAKFAST BAR OPEN TO THE FAMILY ROOM & LOVELY PATIO W/ COVERED AREA & MOTORIZED AWNING ARE JUST A FEW OF THE FEATURES THAT SET THIS HOME APART FROM THE REST. WOOD FLOORS, SPACIOUS DINING ROOM AND OPEN STAIRCASE ALLOW NATURAL LIGHT TO SHINE THROUGHOUT. ONE BEDROOM ENSUITE WITH TRAVERTINE FLOORS DOWNSTAIRS, PERFECT FOR GUESTS, PLAY ROOM OR OFFICE. 3 SPACIOUS BEDROOMS UPSTAIRS. MASTER BEDROOM ATTRIBUTES INCLUDE CUSTOM WALK-IN-CLOSET & 5 PIECE BATH. 2ND BATH UP FEATURES DOUBLE VANITY & LARGE LINEN CLOSET.